You’ve always been attracted to beautiful jewelry. Most women are. But you are so interested in it that you have taken several classes and have begun designing and creating some rather stunning pieces…even if you say so yourself. 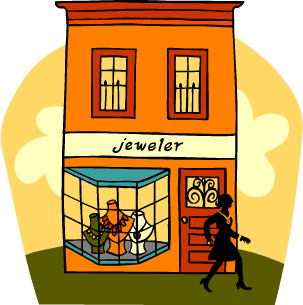 And so you think…wow, maybe I should quit my job and make this hobby of jewelry making into my business. That would be so much fun! I could run my hobby-turned-business right from my home and best of all…make money too. Yes it is true, home-based businesses can be lucrative and business owners may deduct operating expenses incurred. But beware. The IRS is not one to be “bedazzled” by businesses that show consecutive years of losses as they continue to deduct their expenses. As a business owner, it is up to you to show you are running a for-profit business in order to deduct losses. Here is a list of five things you need to know if you wish to turn your hobby into a business. Operate in a Business-like Manner – At a minimum, you should have business cards, invoices and a business banking account. Keep your business accounts completely separate from your personal ones. For a home-based business, a separate area of your home should be dedicated to your company. Register your Business – Make sure you register your company and it complies with all local business rules. Many cities and states require every local business to obtain a tax registration certificate. Obtaining the permits and paying taxes give the IRS additional reasons to classify the hobby business as a legitimate business activity. Attempt to Show a Profit in at least 3 of the 5 Years – One popular test for determining a profit motive is called the “3 out of 5” test. Attempt to show that your business made a profit for at least three out of every five years of operation. Continue with Education – Educate yourself in your industry or field. This will show you have the relevant knowledge to successfully run a business and market the product or service related to your interest. Promote and Market – Most businesses advertise their products or services in some manner. Make sure you maintain copies of advertising collateral so you can show it to the IRS. Obviously the guidelines are in place so people do not abuse the tax system. If your business is audited and the IRS determines you are just spending money on a hobby or using your deductions to minimize your tax liability, you can be subject to penalties and fines. The deciding factor in determining if your hobby is a bona-fide business is to show the IRS that you are trying (even if you are not necessarily succeeding) to make a profit with your venture. Your tax professional can help you make sure all measures are in place to help your business succeed and avoid those IRS red flags. You are currently viewing the archives for March, 2012 at McGowen, Hurst, Clark & Smith.